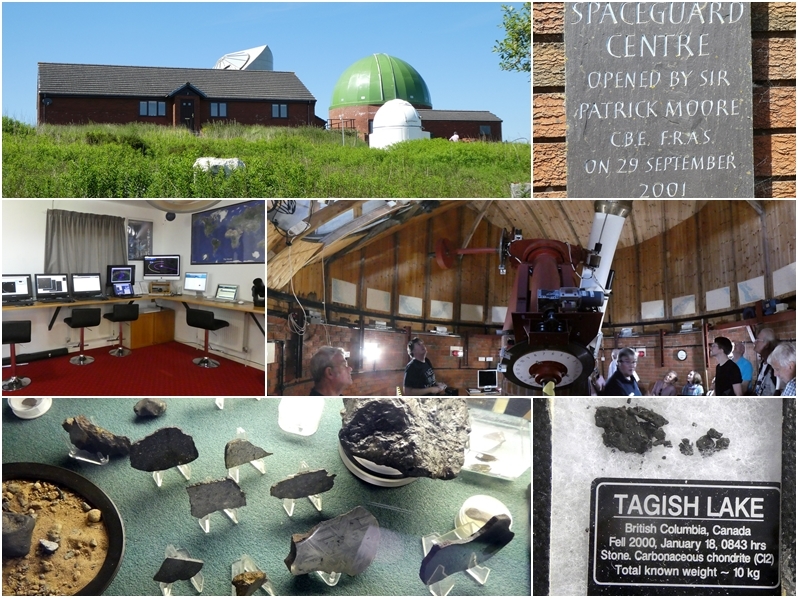 The centre is a working observatory, the main source of information about near Earth objects (NEOs) in the UK. 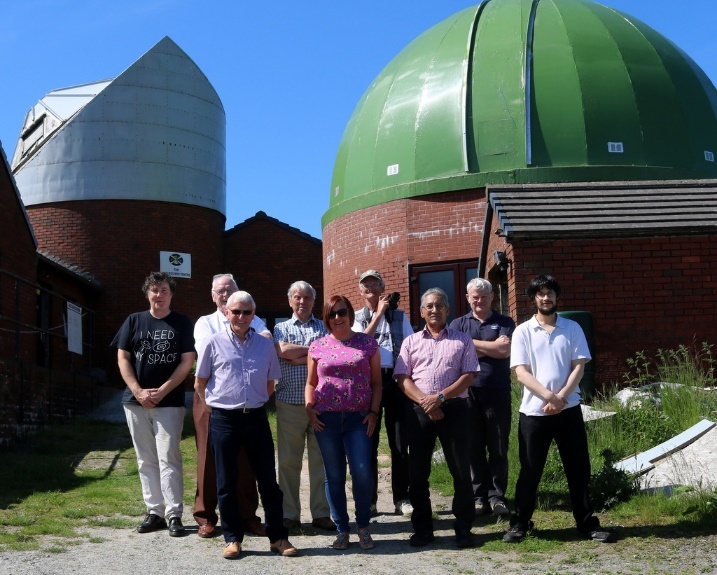 It was opened by Sir Patrick Moore on 29 September 2001 and with still no government or external funding, the centre is run by Jay Tate and his wife and financed through visitor’s fees and a small shop. Mrs Tate showed us into the lobby and Jay Tate met us with – “not you Wolverhampton lot” – apparently our fame had gone before us. The tour is for an hour and a half during which Jay took us round the whole of the centre explaining things on the way. Obviously a well-rehearsed script but very informative and any questions asked were answered well. The computer room runs pretty well automatically. We were surprised that a lot of the software is what we amateur astronomers use, and free, like Cartes du Ciel. 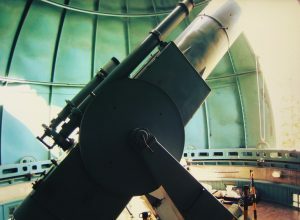 The white dome shown above contains a fully automated robotic telescope that can track NEOs which have been reported, but it has a narrow field of view. The solution to the latter will be the jewel in the crown of the centre when completed, the dome containing the Drax Project (Drax the guardian of the galaxy not the power station in Yorkshire). We didn’t get to see inside on this visit but it will contain a 24 inch (61 cm) Schmidt wide field camera moved from Cambridge. The camera weighs in at 7½ tons and is 4 metres long. When it is working we’re told there will be outreach availability so a return trip might be interesting.